Tickets are on sale now for the Auckland public performance of our touring show A COUNTRY OF TWO HALVES. Tickets are $12 for students and $15 for adults. Don’t miss the chance to see our fabulous cast of Ariadne Baltazar, Laura Thompson, Liam Hughes and Patrick Tafa in action. Directed by Patrick Davies, A COUNTRY OF TWO HALVES consists of extracts from New Zealand plays that help us understand how the ‘other half’ live: whether it be the haves and the have nots, rural and city, or privileged and un-empowered. This 45-minute bare bones programme of New Zealand theatre (followed by a five-minute Q&A) can open discussion about the misunderstandings that keep us divided and what brings us together. The show includes extracts from Wednesday to Come (Renée), Ka Shue (Letters Home) (Lynda Chanwai-Earle), Urban Hymns (Mīria George), Broken River (Ralph McCubbin Howell), The Debate (Riwia Brown), Revenge of the Amazons (Jean Betts), Sham (Jess Sayer), and The Tutor (Dave Armstrong). Young and Hungry is looking for four up-and-coming professional actors for the 2018 EnsembleImpact National Schools Tour, A COUNTRY OF TWO HALVES. 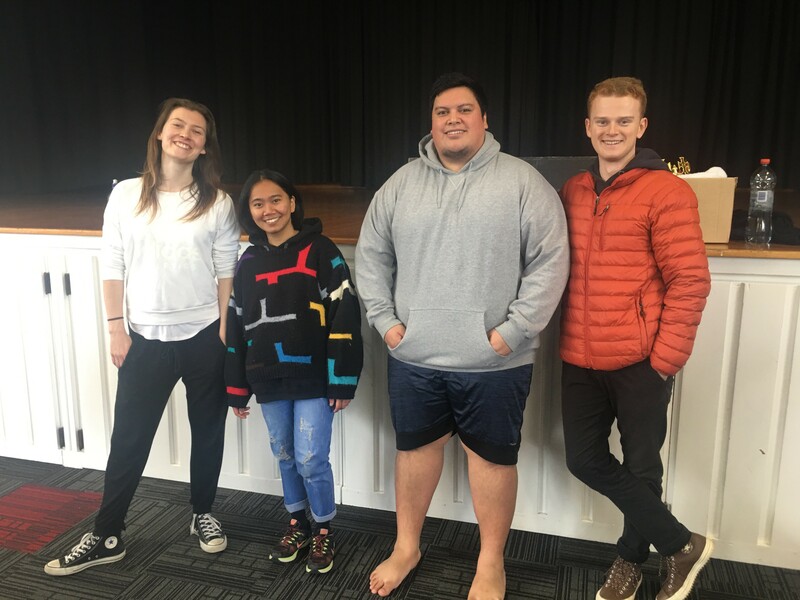 Directed by Patrick Davies, A COUNTRY OF TWO HALVES features features scenes exploring the wide range of conflicting and opposing opinions, ethnicities, politics, social levels and ages of the wonderful characters who populate NZ playwrights’ plays. A COUNTRY OF TWO HALVES can open discussion about the misunderstandings that keep us divided and what brings us together. We are looking for four actors with just as wide a range of diversities to bring this to life. You will be open, talented (whether from training or experience), able to hold a tune (if not sing brilliantly), able to bring your own style of physical exuberance to the production. Be strong in your own opinion but also able to create a safe and supportive team spirit. See The Big Idea for details and how to apply. A COUNTRY OF TWO HALVES will present extracts from NZ plays that help us understand how the ‘other half’ live: whether haves and have nots, rural and city, privileged and un-empowered, mainland and Northland. A COUNTRY OF TWO HALVES can open discussion about the misunderstandings that keep us divided and what brings us together. 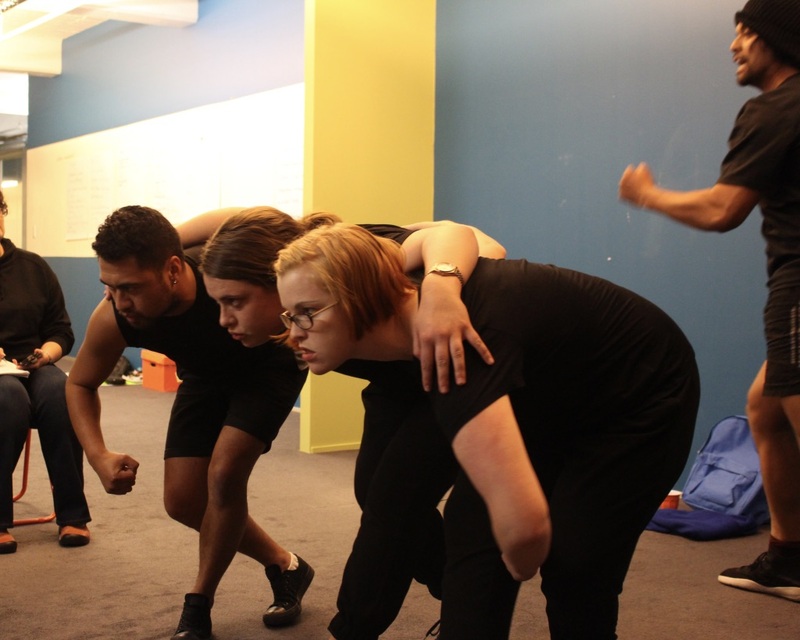 The EnsembleImpact Schools Tour presents a 50 minute bare bones programme of quality NZ theatre that comes direct to your drama room or auditorium. The extracts will include at least two playwrights on the NZQA prescribed list and the performance will be supported by extensive educational resources and a video for later study. Touring 14 May – 6 July 2018. Tour information and bookings. Young and Hungry is pleased to announce that Patrick Davies will direct A COUNTRY OF TWO HALVES. “I’m thrilled to be directing for EnsembleImpact! It’s an exciting opportunity to rake through the rich history of New Zealand playwrights in presenting polarised aspects of our culture. With an international background in improvisation, acting, and teaching, Patrick came to Wellington in 2006 to begin his Masters in Theatre Arts (Directing) at Toi Whakaari/Victoria University of Wellington. 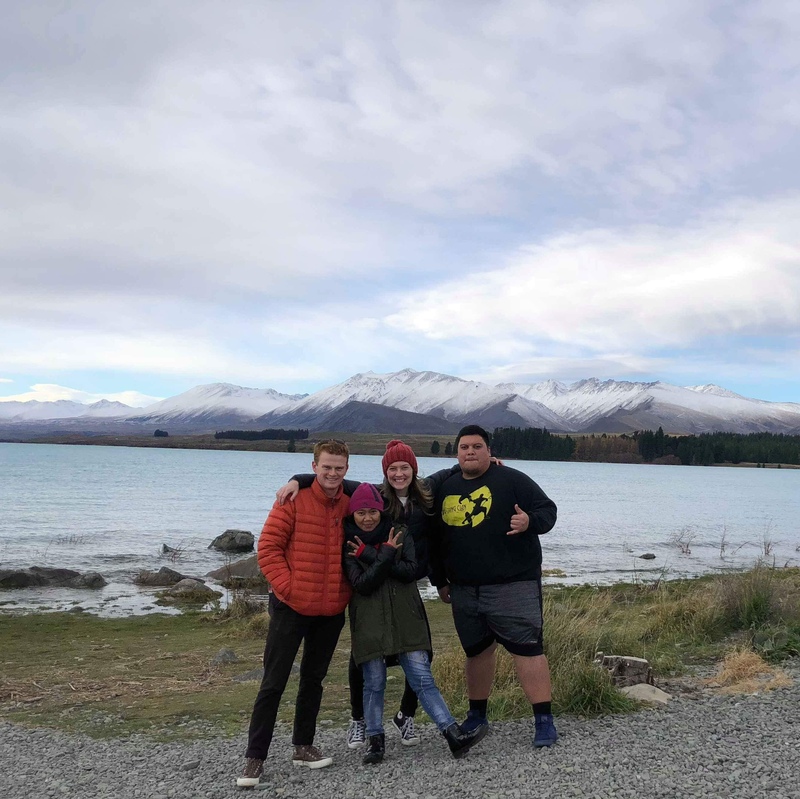 He has worked with Auckland, Northland and Otago Youth Theatres and has taught Directing and Shakespeare Performance at the National Youth Drama School. Most recently he directed Atilla the Hun for Young & Hungry and he currently works for the New Zealand Festival as the Education and Community Coordinator.